I am looking for info on Société des traversiers du Québec. There seems to be few detailed accounts of the history of the service on the web. I am very interested in what the name of the private operator that ran the Sorel - Saint-Ignace-de-Loyola ferry before STQ took over in 1978. The STQ bought in 2012 a UK-made Griffon 2000TD hovercraft to link the airport in Pakuashipi with the village of Saint-Augustin on the lower North Shore. It can carry 16 passengers along with their luggage. The service is free, and 9 round trips are offered per day. The crew is composed of eight Saint-Augustin and Pakuashipi residents, who received from the STQ a specific hovercraft operation training. , handling is quite sloppy on ground, but it is a charm on ice and water. I am not sure whether this is marine, air or ground transportation. Whatever it is, this public transportation system is clearly the weirdest ferry, shortest air link or easternmost bus system in Québec. It replaces non-scheduled privately-owned and subsidized ferries, operated with smaller hovercrafts, jollyboats, etc. Yeas. Thanks for sharing this interesting find. STQ service is suite problematic thèse times because of large ice blocs on the Saint Lawrence. Québec-Lévis service was interrupted all throughout peak hour because N.M. Lomer-Gouin couldn't dock. Nice ship. What route is she going to operate? What vessel is she replacing? I am asking these question because I don't speak French and site is in French. Workers went on strike today for an indefinite time. Service in cancelled on Québec-Lévis and Sorel-Tracy―Saint-Ignace-de-Loyola. L'Isle-aux-Coudres–Saint-Joseph-de-la-Rive, Tadoussac–Baie-Sainte-Catherine and Matane–Baie-Comeau–Godbout services are only to a strict minimum, as these crossings are deemed essential services. Ville de Repentigny is going to tender for the renewal of its Fleuve à vélo summer ped/bike ferry to Varennes and Pointe-aux-Trembles until 2018. 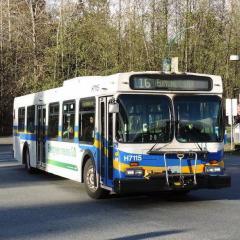 The new schedule contains 4 daily round trips and 1 one-way. When life gives you F.A.-Gauthier, it's hard to make lemonade. STQ is experiencing major disruptions on its all-new CNG-powered ship operating on Matane―Godbout/Baie-Comeau services. Broken down compressors, fans, diesel tank, burned or damaged communication and electrical cables, door, ramp, toilet, life vest malfunction, unresponsive navigation instruments and out-of-service Voice Data Recorder; Société des Traversiers counted no less than 128 breakages/malfunctions since the vessel's inaugural trip. Moreover, the whole CNG propelling system is out of order, and the ship must use its diesel auxiliary power, burning over 200k$ of fuel per week. Italian shipbuilding Fincantieri Castellamare Di Stabia delivered the F.A.-Gauthier June 24th 2015. Thanks for posting. FA Gauthier actually runs on LNG, not CNG. Wow, I wonder if BC Ferries is going to have problems with the Salish Class and Spirit Class when they get convert to LNG. The 175 Million $, eight-deck mastodont still runs, albeit on auxiliary power. Only 3 departures were cancelled since June 2015. Warranty will end in June 2017. Prince tag or the new, late delivered replacement ships for NM Armand-Imbeau and NM Jos-Deschênes is now of 225M$ (instead of the agreed 100M$). Delivery is postponed to an undetermined date, while it was contracted for 2015. Davie shipbuilding is half-dead but contracting it has always been a good voters bait, seen its crucial economic role for Québec south shore. A wave hit M.V. F.-A. Gauthier, severely damaging her (again). Insurance is expected to pay for the repairs (that problem is not covered by the warranty). New Lévis terminal won architectural prize. There have been some jeopardy around here. For some reason, CTMA Voyageur (assigned to Matane / Magdalen Islands winter service) is docked at Verreault shipyard, CTMA Vacancier (ferry/cruise ship assigned to Montréal / Magdalen Is. 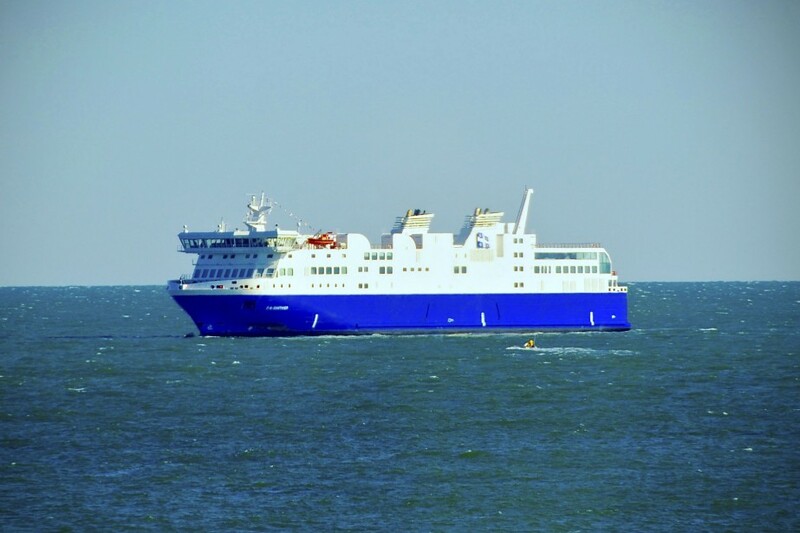 / Gaspé summer service) has docked in Matane harbour last Tuesday, whilst F.-A.-Gauthier (assigned to Matane ― Baie-Comeau/Godbout) is not docked at Matane RoRo ramp. F.-A.-Gauthier propulsion is still broken. The ship had to stop today 1 N.M. away from Matane port. It has been retrieved back home in late afternoon. F.-A.-Gauthier is back in service since this morning. Electrical wiring problems causing the propelling system to fault had forced the STQ to stop the service for 5 days in high season. Is the STQ an economic shipwreck? 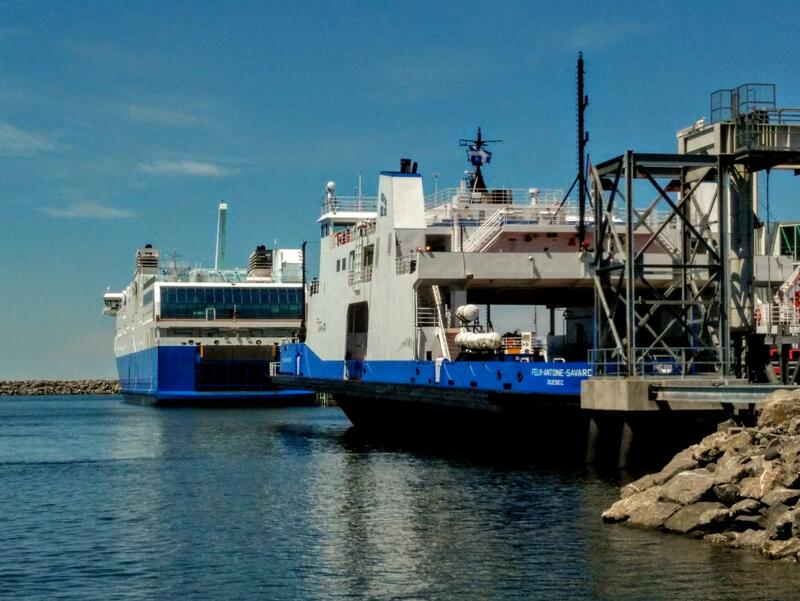 The ministry of Economy has decided to remove from the hands of the Société des traversiers du Québec (STQ) the management of the contract for the construction of two ferry services granted to the shipyard Davie, which will cost finally two times more expensive than expected. Another break in F.-A.-Gauthier's propulsion system kept her ashore this morning. F.-A.-Gauthier is at Verreault drydock in Les Méchins for "regular" maintenance... until May 26th! Until then, good ol' MS CTMA Vacancier will provide the Matane/Côte-Nord ferry. Finally, MS CTMA Vacancier still did not leave Méchins and MS CTMA Madeleine is needed for Souris/Les Îles services... so no drydock bay nor replacement ship was available for Matane/Côte-Nord last week. Ridiculously misadapted MS Félix Antoine Savard provided last week for the high sea route, that has had its schedule doubled to supply for demand. Many of these added departures were cancelled due to "strong" winds and "high" waves; Transportation Canada had emitted strict conditions for this ship to sail from Matane. EDIT : Savard is still on duty. She was unloading vehicles today, next to her very big sister FA Gauthier.